Yes! 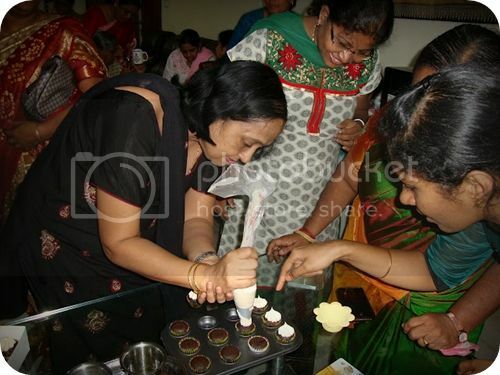 I did my very first cake baking demo session for a group of 35 enthusiastic women. The occasion was Rotary club Ann's meet and I got a call from one of the members who was part of the hosting group. She has been following my blog for a long time and has appreciated my work many a times. She asked me if I could do a simple cake demo for them! I was completely nervous, thrilled and anxious when she said that. Couldn't deny her request but was completely scared to do it since it was going to be a demo for 35 home chefs who have been expert in their kitchens. 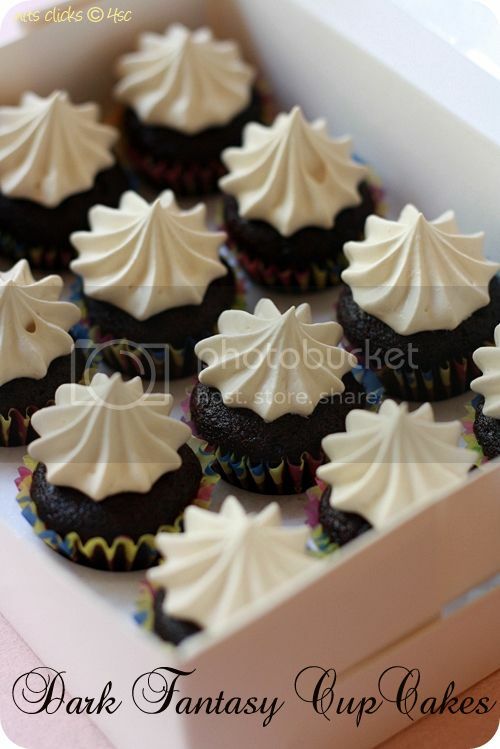 Recipe for Dark Fantasy Cup cakes. Recipe for 1 min microwave cake. Recipe for eggless orange cake. 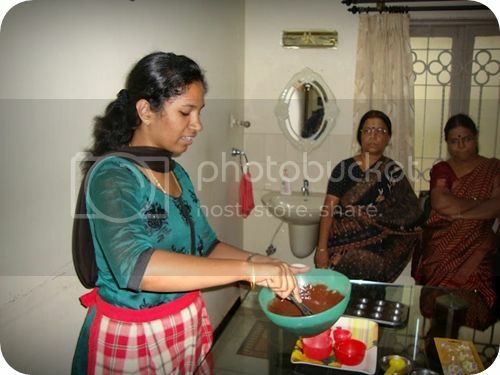 I showed them a demo of simple eggless chocolate cake baked in two methods. First one was a quick magical 1 min microwave cake and second was the convection mode method for the more traditional baking experience. The demo session went on for 45 mins with keen listeners. The microwave cake was whipped up in minutes and the magic was completely putting all of them into a lot more of enthusiasm :) I was by then pretty comfortable talking loud and giving instructions. We had a couple of jokes cracked for the ice breaking and all were set in a good mood for the next cake. Oh yeah! I forgot to introduce the large birthday cake that I baked for CM! Lol.. If you thought it was Chief minister, then you are wrong. It was the birthday of the host couple. You are an amazing all round baker dear. Lovely and mouthwatering cakes. Congrats and wow. You seem to have enjoyed yourself a lot. IS the dark fantasy on your place? Will check if not can you please post it? superlative ! 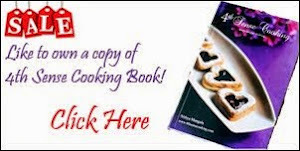 would love that dark fantasy recipe please ! Congrats Nithya. All the cakes looks delicious. Way to go dear. I'm so happy for you. hearty congrats and a big hug!! Congratulations! judging by the pictures, that was one great demo! Congrats on your dwmo..I bet it was fun. 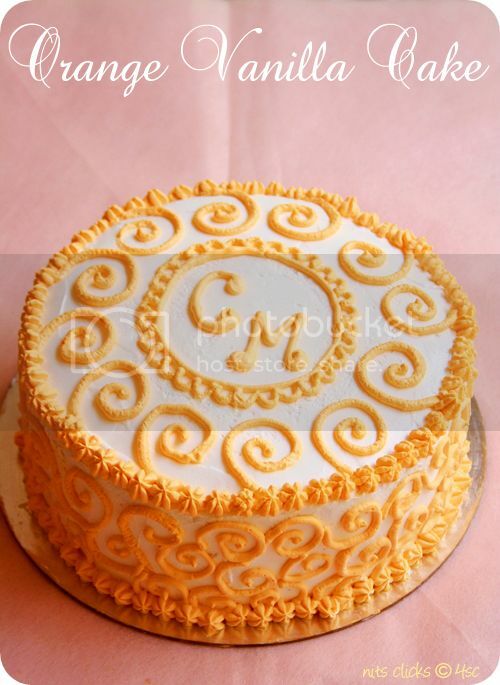 The orange cake looks gorgeous. You are a pro.. no need to be anxious or nervous.. this comes to you naturally..
Looks absolutely beautiful....nice color combo too...Congrats, way to go!! love the cup cakes and the b'day cake decoration,elegant. 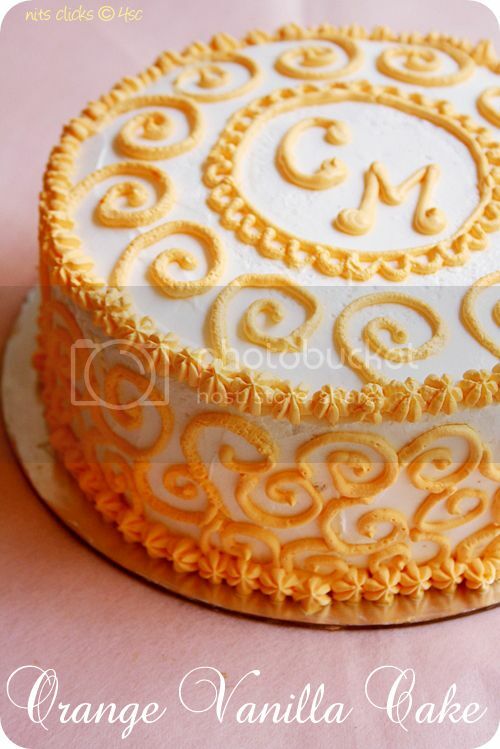 Amazing....i love the cm cake !! Congratulations u r an awesome baker !! Excellent cake. Looks you enjoyed the event completely. What fun!! Way to go and the orange vanilla cake looks fabulous! congrats Nithya ..... any you really rocks.. Always admire your baking ;) Congrats! Each and every one of them look so smashing!!! You seem to be a natural baker.."born with it" kinds :-) The pictures are lovely too..they speak a lot about ur passion..about baking and all the things around it. My favourite one is the orange one, love the flavour. Love the decor you have given to it..it is absolutely flowing!! !Good going!! BlueHost is ultimately the best website hosting company for any hosting services you might require.